It’s that time of year again. Time to sip on piping hot cocoa, tea or coffee.I am sharing a quick and easy crocheted cup cozy pattern so that you don’t burn your hands for the next four months. This is also a perfect project for beginners. I used Caron Simply Soft Yarn, a 5 mm (H) crochet hook and a yarn needle.The pattern below will fit the standard medium size disposable coffee cup. 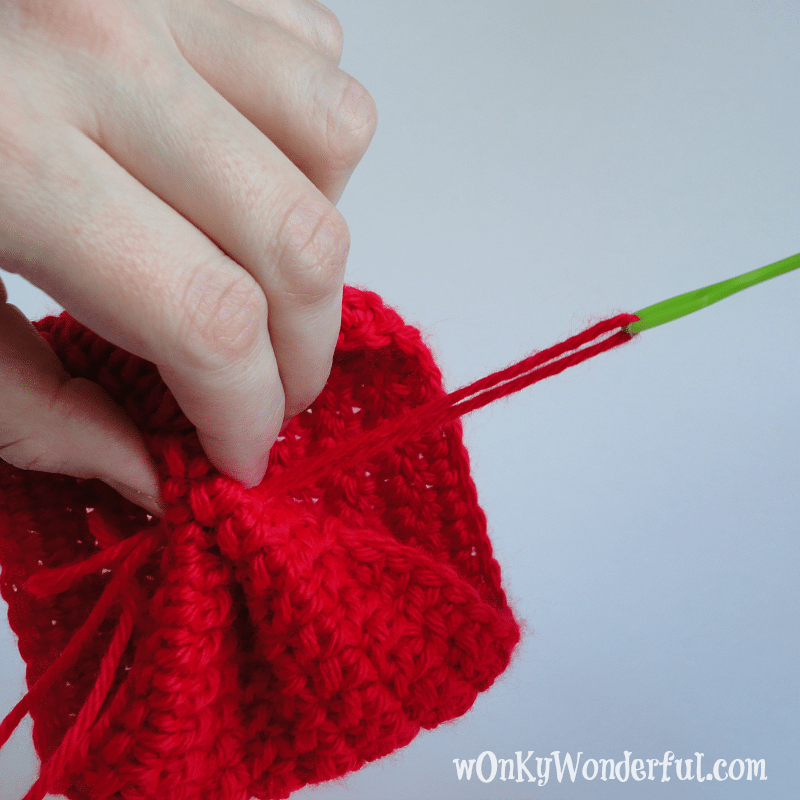 If you are making this to fit a reusable or a different sized cup, measure your chain around the desired cup size and add or remove chain stitches as needed.Chain 32.Connect the end and the first chain with a slip stitch. Double crochet (dc) in each stitch around for the next 8 rounds. Fasten off – leave a 6-8 inch tail. 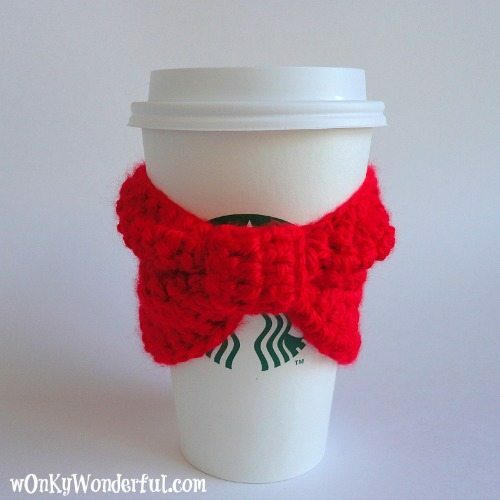 You should now have a plain cup cozy. You can leave it as it is, add a button or some type of applique. If you want a Bow Cup Cozy follow the instructions below. 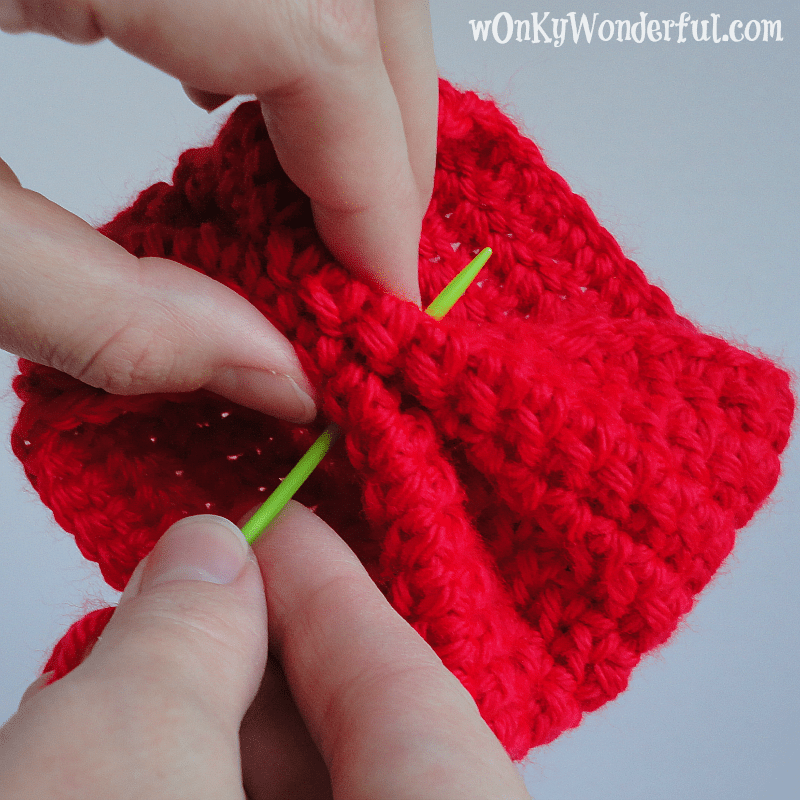 Choose the spot for the center of the bow and pinch it (see above photo).Using the yarn tail and a yarn needle, sew through the pinched area a few times to secure. Fasten off, trim and weave in yarn tail. 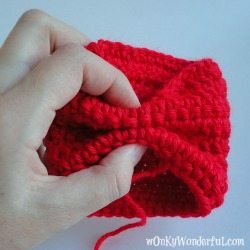 To make the Bow Center:Chain 10 – Complete 2 rows of double crochet (dc) in each stitch.Fasten off leaving a 6-8 inch tail.Wrap this piece around the pinched area. Using the yarn tail and a yarn needle secure piece to cozy. Fasten off and weave in yarn tail. Thank you! I am new to crochet. This looks like a very easy pattern. Unfortunately, I do not know how to double crochet. I can’t seem to find a youtube video or a blog that will help me understand. Could you please do a blog article on that! I would really be thankful! P.S. If you do, my first project will be your watermelon water bottle holder! It looks so cute! 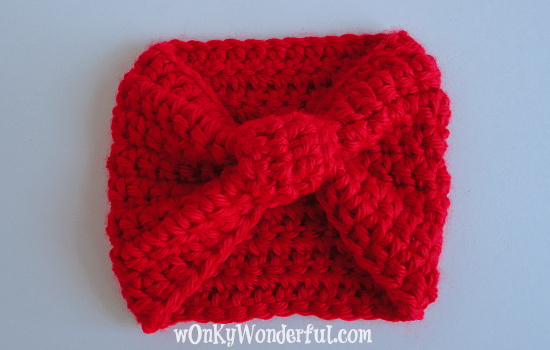 Double crochet its very easy! Its the first stitch I learned. You Yarn over, insert hook into the next stitch, yarn over, and pull loop through, at this point your will have three loops on your hook, yarn over, pull through two loops, yarn over, pull through last two loops. Voila! 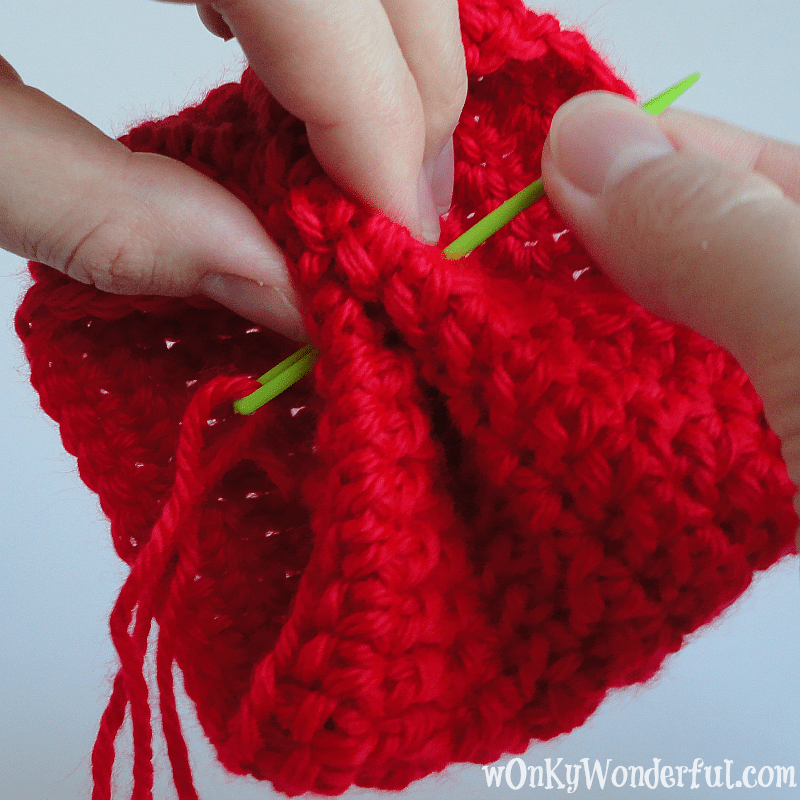 Double crochet stitch! Thank you! I now know how to double crochet! This is a great cozy! I did one in red and now one in orange for a friend with leukemia in the family. Thanks for aN easy to understand pattern and a nice little gift! Awesome! I’m so glad you like it!